Appearance: These are beings of angelic form, shaped from the first moment of creation and possibility. They are celestial beings that appear to be made of light. Most often, are represented as a pattern of seven stars in a ring, with each star adhering to a vague humanoid form. 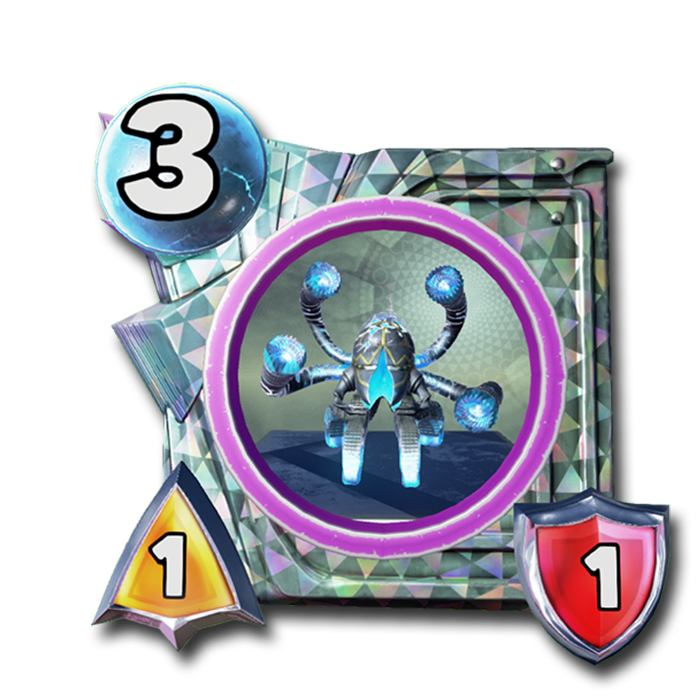 EVOLVE – Upon meeting specific conditions, units can change into different, often more powerful, units. Evolved units are almost always OMEGA. BLESS – This trait converts tile to Blessed tiles. When a unit with Bless enters a tile without a fort, that tile is blessed. Non-blessed forts constructed on a Blessed tile, reverts the tile to the non-blessed version. 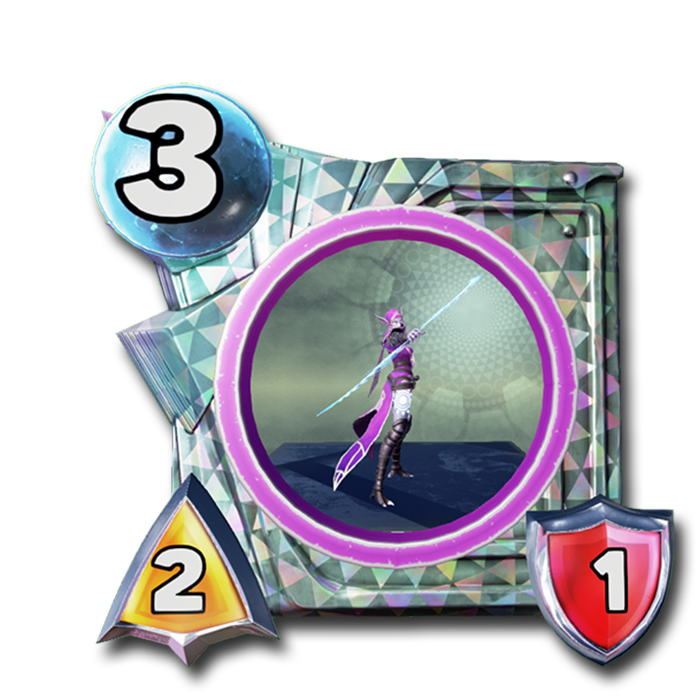 STEELWARD – Units with this trait cannot be targeted by spells. The Aegis. Forgotten, feared, and now: returned. They existed with the gods of old, they were beings of light and eternity. When the first Great War ended, and the old gods used their energy to close the bridge between the realm of the Aegis and Terrene Gall, they were trapped. Over time, they were forgotten except to a small cultish following that recalled the celestials of old. When the great oneironauts of Delirium ripped apart the barriers of reality, the Aegis followed. They watched. They gathered their power, revealing themselves to the faithful. But now, they act. They are beyond compassion, remorse; beyond good and evil. They seek to return the world to a land without the upstart gods, what it was always planned to be: perfect. The great Aegis are the Celestials, the First Host that lived alongside the old gods. They are served by the Alphas, the weavers of light and spirit. These Alphas have grown strong with the faith of the Doomsayers, men and women that adhere to the original faith of the Aegis, handed down over millennia. 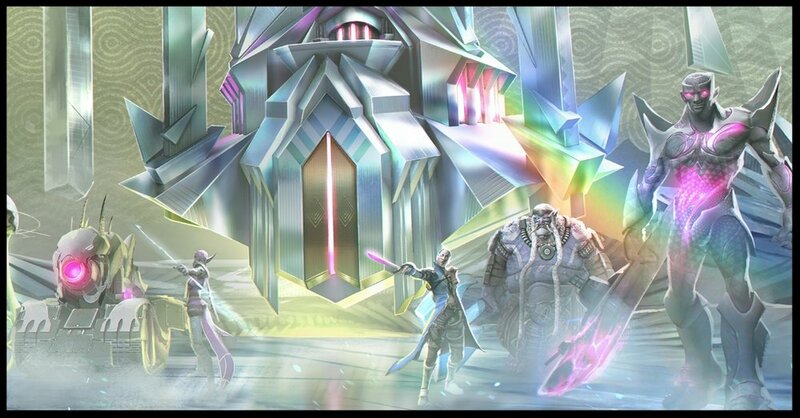 With this faith and their knowledge of lightweaving, they have created the Omegas, beasts of war created by imbuing light and life into beings of Terrene Gall. When Az’Amet wrote the secret of immortality and gave it to the gods, it is said that they used its power, then separated the secrets into twenty-three separate runes. The Immortal Banner represents one of the uncovered runes. The huge symbol glows brightly, providing strength to those who rally around it. It is carried by Nymriel, Throne of the Sunrise. The great Eos Alpha, Lady of the Morning Light, is said to have turned down an offer to ascend to the great Council of Thrones. She has devoted her existence to the refinement of lightweaving, and is often credited with the blessing that transforms the massive Sarkus Titan into the World Thrower. She understands more about light and power than any other being, and can twist the spirits of the dead into a holy sigil that blesses a battlefield. The Coal Raker is one of the finest examples of lightweaving. It was once a devoted celestial knight, and the armor and uniform is still seen as a ghostly image that overlays the burning body beneath. Where a feathered plume denoted its officer’s rank, now a trail of smoke and fire crests its head. The officer’s coat is now an ethereal cloak of light that vaguely outlines the torso. His rage is such that those he commands return from their graves, restored to life with even greater resolve. The great lightweaving of the Alphas has never resulted in a better example of mortal form and immortal power. Once the greatest priest of the Aegis faith, the first weaver, Herios, poured his very essence into the armor and skin, fusing them into a single entity. Once the forging was complete, the blessings of the First Host were laden upon it, giving the new entity the ability to put right any house of faith that it came across. When the Host Immaculate takes the field, all know the righteous anger of their purpose. Aegis are ancient beings, equal is scope and power to the cosmic madness of Delirium. These are not the kind spirits of an after-world, however, they are superior beings come to reclaim the energy of the gods that breathed life to mortals. The Alphas tend to be comprised entirely of light, but generally adhere to a somewhat ordered form, be it humanoid or machine. While they are somewhat mutable in their shape, they can use the light from their own form to imbue others, or coalesce the energy into an explosion of life and power. These are the purest essence of what it is to be Aegis, uncorrupted light woven to give it form. The Omegas are augmented creations, imbued by powers so massive their fragile minds and bodies cannot help but mutate into monstrous titan forms. Different from Delirium, these are beings still bent on their unending service. These beings accept their monstrous existence as a cost of that loyalty, and remain dedicated even in their horrific and massive forms. Omegas represent some of the most powerful beings in existence. The Doomsayers are members of the cult of faithful and often fanatical worshipers of the Aegis. Their ways are ancient, hearkening back to a time before the written word. While most dismiss them as a fringe element, since the return of the Aegis, their loyal service has been rewarded. They are a diverse collection of dead cultures or forgotten people, unified by the banner of their shared belief and conviction.